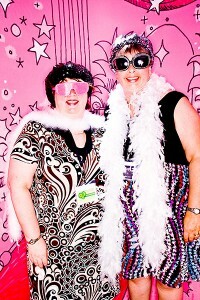 This week is the annual BlogHer conference which has grown to over 3,000 attendees and is in my hometown! The conference has lots of content with six different tracks and six official parties. Then there are the other events ranging from yoga with Bob Harper (yes, from Biggest Loser) to movie screenings to private cocktail parties. I can’t imagine how many private parties there are that I don’t even know about. The exhibit hall takes hours to get through if you’re interacting with each brand and learning if they’re a good potential partner for future promotions. I have posts lined up for the week, but we may skip a weekend scoop. There will be more funny pictures like this one I’m sure! Elle at Couple Money is having a baby in the near future which inspired me to write about insurance and life changes. Do you have the policies you need in place? We’re always trying something new in the Yakezie to build relationships and selflessly support each other. This summer it is teams that will visit each other sites, retweet, comment and more. The teams are large enough to have enough variety and small enough to feel like you’re getting to know people much better. Below are my favorite articles from my summer teammates. Enjoy some great reading. Don’t forget that entries close today for Bucksome Boomer’s two year blogiversary giveaway. There are 15 prizes worth over $400. Two Savvy Sisters is giving away Starbucks Via Iced Coffee packs to three lucky winners. A great way to refresh yourself in this summer heat. Entries close today. Finance Fox is hosting their first giveaway with four prizes including books, a Starbucks card and a movie theatre gift card. This one also ends today so hurry over. Thank you for the inclusion. The BlogHer Conference sounds like an amazing opportunity and a great time! What a fab photo! Have fun at BlogHer. @Amanda, it is a wonderful conference. It switches locations every year so should be closer to you next year. @ Little House, you did say that! Hope you’re having a good summer. @ Xenia, I do hope to run into you. Thanks for leaving a comment. @ Iamtheworking poor, Thanks. We were having fun! @ John, You’re welcome. It’s stressful getting ready but we already know it’s going to be fun, informative and valuable! Thanks for including me in your round up! Looks like the party was fun! It looks like you guys had a great time last year at the conference! I hope you enjoy yourself again this time. Thanks for including my link. @No Debt MBA, You’re welcome. We had fun and are looking forward to our first event tonight! @ Khaleef, It’s fun to get away and meet up with a bunch of fellow bloggers. We enjoy being silly like with these props (I hope everyone knows they’re props!). Previous post: Using the web before travel, better memories after!